Miguel (Anthony Gonzalez) dreams of becoming a musician. But that career choice doesn’t go over well with his family who don’t like music. In fact, it’s banned in his family. But on Día de muertos when the borders between living and dead family blur, Miguel finds his chance to figure out where the music ban comes from in his family – and maybe get the blessing of a family member for his own career choices. 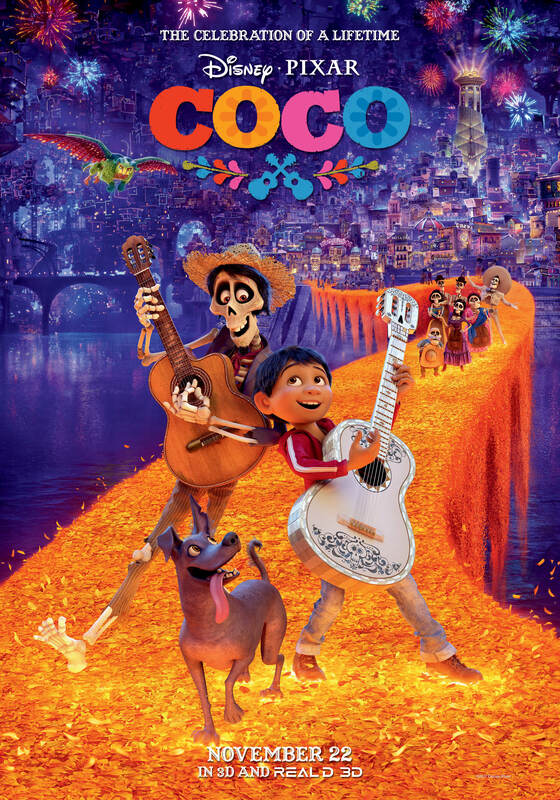 I heard a lot of good things about Coco before seeing it, so my expectations were quite high. But it turns out that I found Coco even better than I expected. Coco really has a lot to offer. For one, it’s a really well-made movie. Beautiful animation with great visuals and a lovely color scheme. Nice, engaging storytelling with the appropriate amount of telenovela drama and revelations. Much like Jane the Virgin, it pays hommage to this storytelling tradition instead of making fun of it, while not being entirely serious about it. 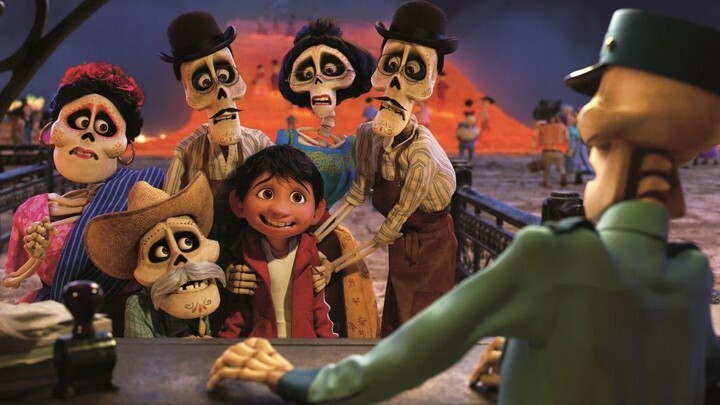 But even if it hadn’t been so well-made, it still would have been a film worth seeing, simply for the fact that there are so few (mainstream/USAmerican/Hollywood) movies that treat Día de muertos with any kind of respect or a bit of deeper understanding, and not just as an interesting visual background. Also, there are not enough movies staring latinx characters in such a positive way. In addition, Coco has a wonderful cat – one of the best screen cats ever. (I also liked the dog, but the cat was just fantastic.) And a pretty damn awesome take on Frida Kahlo which is also great. The film isn’t perfect, but it is heartbreakingly sweet, emotional, touching and fun and a rare example of necessary representation, so I won’t dwell on that stuff – especially since I really loved the film overall. 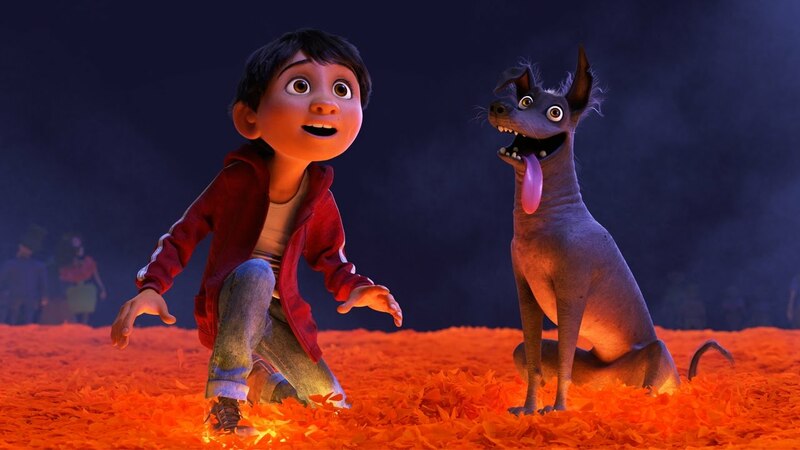 This entry was posted in movies and tagged 2017, Adrian Molina, Alanna Ubach, Alfonso Arau, Anthony Gonzalez, Benjamin Bratt, Coco, Edward James Olmos, Gael García Bernal, Herbert Siguenza, Jaime Camil, Lee Unkrich, Matthew Aldrich, Renee Victor by kalafudra. Bookmark the permalink.